Sadly it looks like the partnership between Neil Purvis and Robert Wade, the writers behind a number of Bond films (Skyfall, Quantum of Solace & Casino Royale as well as Die Another Day, The World Is Not Enough and Johnny English) and James Bond has come to an end. Granted Die Another Day and The World Is Not Enough may be more about spectacle than story, they have certainly brought Bond back to relevancy and where he belongs with their most recent works. So as mentioned in the official release below bowing out on an all time high with Skyfall smashing the box office and becoming the most successful Bond film in history may be a good time. 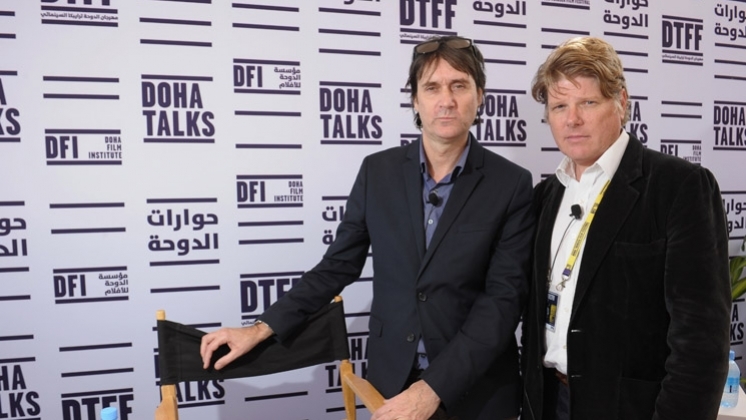 As Skyfall becomes the most successful Bond film in its 23 film history, British screenwriting duo Neal Purvis and Robert Wade took part in a master class at the fourth Doha Tribeca Film Festival (DTFF) to lift the lid on writing for one of the iconic film franchises of all time. Meeting at 22, the pair who has been writing together for 28 years wrote their first script during the Los Angeles Olympic Games. “Now were on our 41st script and have have ten films made. You wouldn’t write each day if you didn’t believer that your scripts were going to be made,” added Purvis. Addressing the production delays this latest outing, the duo shed light on how important this additional time was “We benefited from the delays as we hadn’t gotten the story right. The film would not have been made without them,” explained Wade. “The third act wasn’t right. We gave ourselves a few weeks to come up with a new concept, which ultimately became a metaphor for our journey working on these movies – our own Skyfall” added Purvis. Asked about other projects outside of Bond, Wade divulged “We did get hired to write a script about Elton John stealing 11 of the best footballers in the world, to play against a team of robots on another planet. “That was our second paid job,” explained Purvis. Doha Film Institute (DFI) is an independent cultural organisation established in 2010 to incorporate Qatar’s film initiatives under one banner; organically supporting the growth of the local film community by enhancing industry knowledge, cultivating film appreciation and contributing to the development of sustainable creative industries in Qatar. 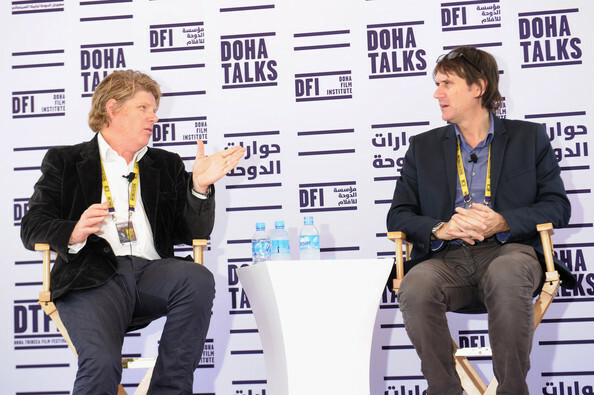 DFI’s year-round platforms include funding and production of local, regional and international films, educational programmes, film screenings, and the annual Doha TribecaFilm Festival (DTFF). 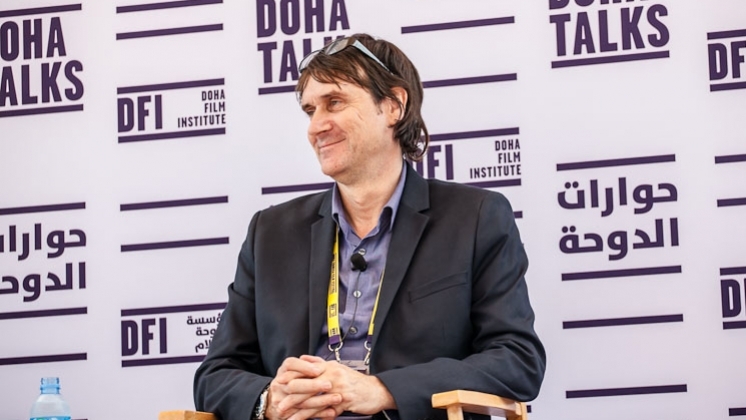 With culture, community, education and entertainment at its foundation, DFI serves as an all-encompassing film hub in Doha, as well as a resource for the region and the rest of the world. DFI is committed to supporting Qatar’s 2030 vision for the development of a knowledge-based economy. 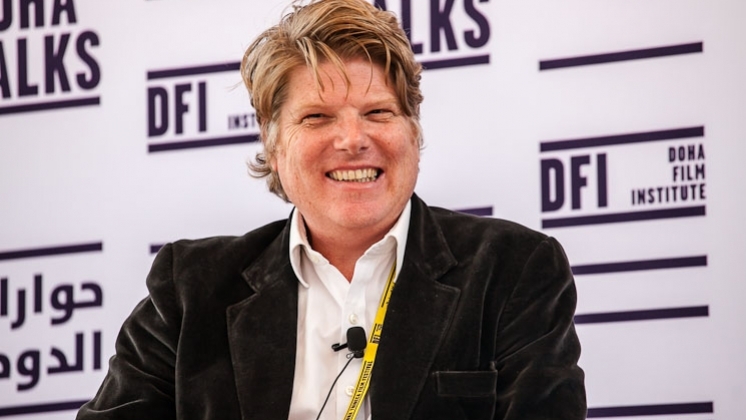 DFI has established a number of strategic cultural partnerships with leading local and international organisations including Tribeca Enterprises, World Cinema Foundation, Maisha Film Lab, Katara Cultural Village and Giffoni Film Festival.